Porcelain veneers can mask a number of common dental flaws to provide you with a bright, symmetrical, natural-looking smile. If you’re unhappy with the appearance of your smile and would like to learn if porcelain veneers are right for you, please call Hayward cosmetic dentist Dr. Gary G. Fong at 510-582-8727 to schedule your personal consultation. 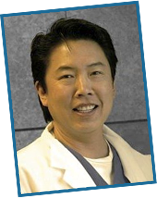 Dr. Fong welcomes patients from the surrounding Castro Valley, San Leandro and Union City areas. Porcelain veneers are custom made for your unique needs, and they allow precise aesthetic contouring for a seamless smile. They can also be tinted to achieve your desired level of whiteness. Although porcelain veneers are a versatile cosmetic dentistry tool, they are not the right choice for every patient with dental imperfections. Those with severe teeth alignment issues or bite conditions (malocclusions) may benefit from another treatment option, such as ClearCorrect. Your exam and consultation with Dr. Fong will determine if porcelain veneers are the best choice for your individual dental health needs and aesthetic goals. For additional information about porcelain veneers, please see our Benefits of Dental Veneers page. To schedule your personal consultation, please contact Dr. Gary G. Fong today. Dr. Fong welcomes patients from the greater Hayward, San Leandro, Union City and Castro Valley, California, areas.